Our first gin event is not one to miss, we love gin, our customers love gin, the world loves gin! 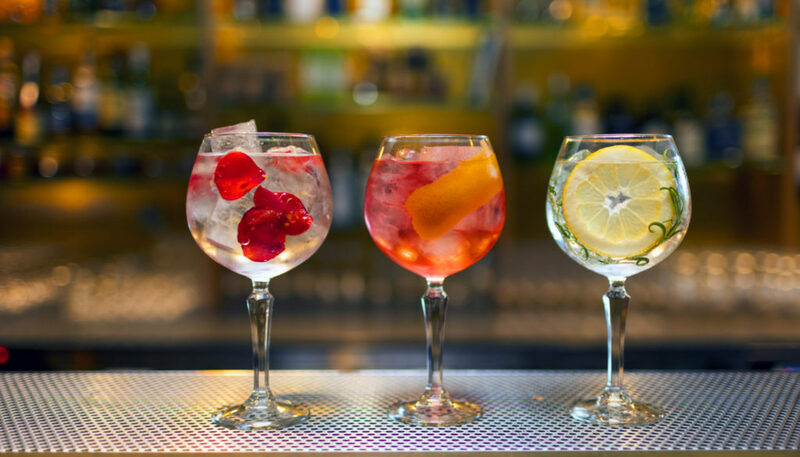 So, what better way to spend your bank holiday…and what else would we call it…Totally Gin. On Sunday 27th May, from 7pm, at Totally Delicious, Trentham Shopping Village, we will be serving our very special ticket holders a selection of gin, carefully picked by our manager Jack and the team at The Gin Stop. Our menu has been carefully formulated and designed with you in mind. “What do I get with my ticket?” I hear you ask. With a ticket, you will get a drink on arrival, (can’t stop at one) canapés, live jazz music from Ray Butcher and an entry into the raffle to win a one-of-a-kind gin hamper carefully put together by The Gin Stop. How could this evening get any better? I’ll tell you how – we’re also raising money for the Donna Louise, a donation from all ticket purchases is going to children with life-limiting illnesses and to their families, the team at Donna Louise will also be running some additional activities to raise money during the evening. It’s going to be the perfect evening, our outside terrace will be open, come and join us. Click here to get your Totally Gin tickets. 5 things you could do on your lunch break	Are you lunching today?